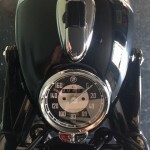 Restored 1954 BMW R51/3 Motorcycle. 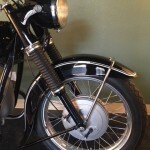 This lovely BMW was fully restored by its owner. The paintwork was blasted down to bare steel, body worked, primed and painted. 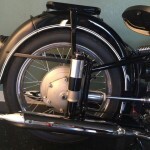 The barrels, centre stand and fork parts were powder coated. 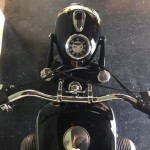 A new-old-stock Bosch horn was sourced and fitted. The engine was of torn down, cleaned and inspected. 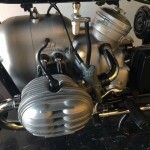 The valve guides, valve seats, seals and gaskets were replaced. The transmission was rebuilt with new seals and gaskets. 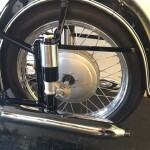 OEM aluminium wheel rims were laced up with new chrome steel spokes and re-plated spoke retainers. 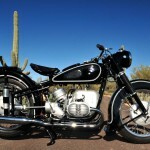 A superb restored 1954 BMW R51/3 Motorcycle. 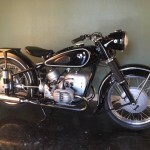 BMW R51/3 – 1954 For Sale or Wanted? 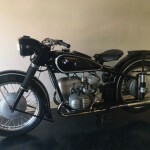 If you're looking for the perfect BMW R51/3 – 1954 for sale then take a look at the hundreds of restored classic motorcycles listed on our extensive Motorcycles For Sale pages. 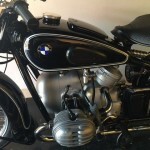 We regularly feature very nice restored BMW R51/3 – 1954 bikes for sale. 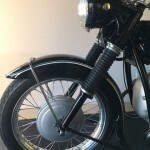 Spares and Parts for your BMW R51/3 – 1954? 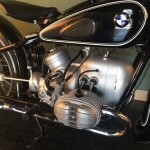 Workshop Manual for your BMW R51/3 – 1954?